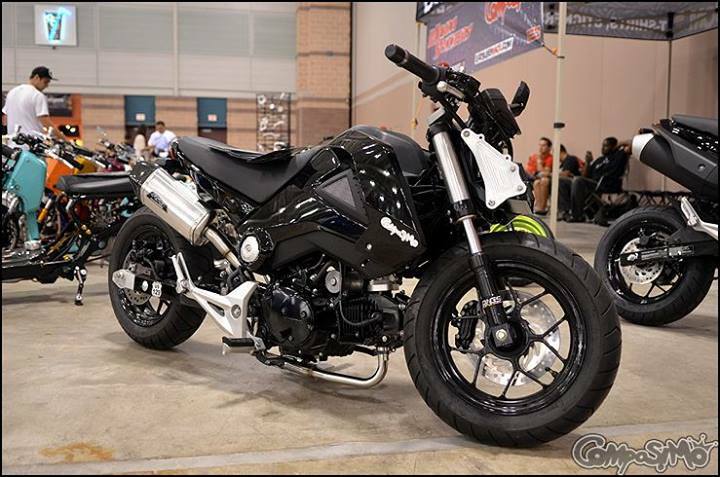 Introducing the ALL NEW RaceBarZ™ for your Honda Grom! 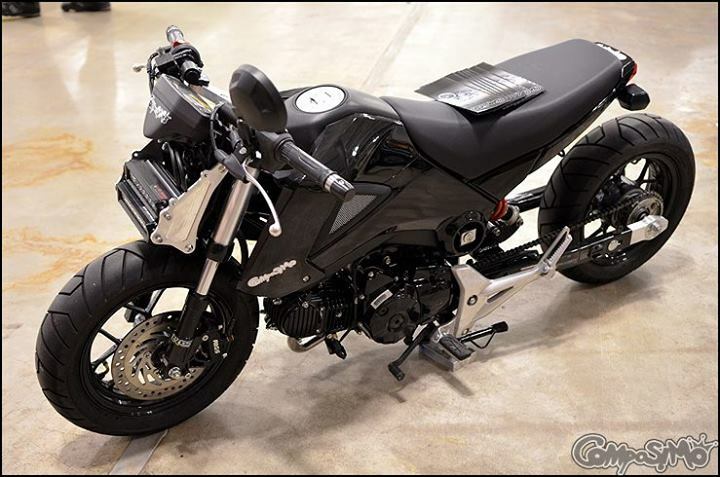 These bars are as low and race-like as you can get without having to trim the bodywork! Just unbolt your stock bars, and bolt the main plate to your existing bar mounts! The bars use race-quality bars and clamps from none other than WoodCraft Engineering! These bars give a wide range of options for bar-end sliders, risers, etc! Strokd_GE, toyotabb, Shoebacca78 and 5 others like this. ComposiMo Fabrication - Parts, Accessories, Cool Stuff... Made in the USA, right here in Western NC! Marmotos and bossman12r like this. These were a no-brainer... even though I just got the pro-tapers on, and haven't rode 5 miles on them yet... But I have a really good feeling about these. SHIP NOW sir!!!!! 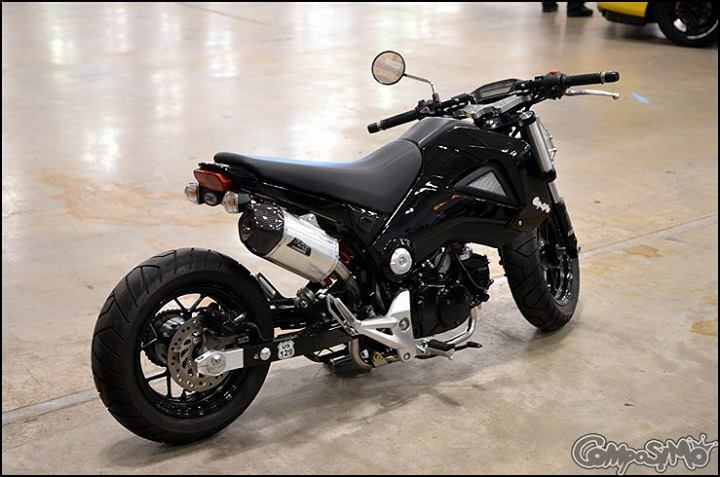 Omg that is one ugly grom! loaded and gromhawk like this. 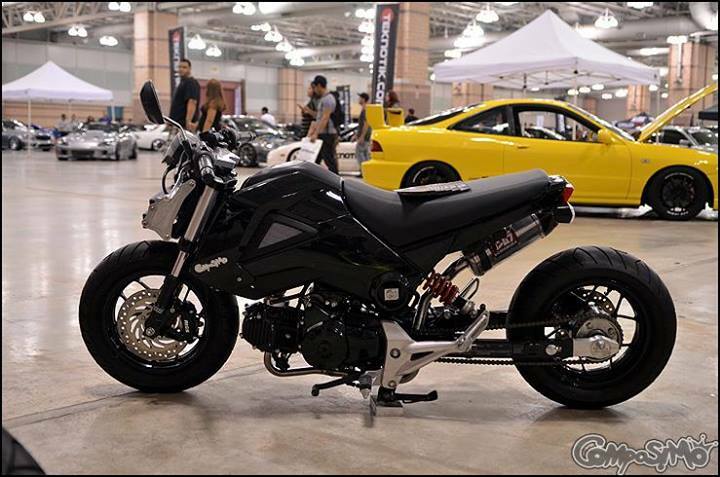 Modification is an aquired taste... this Grom is a good example of the "to each his own" philosophy. 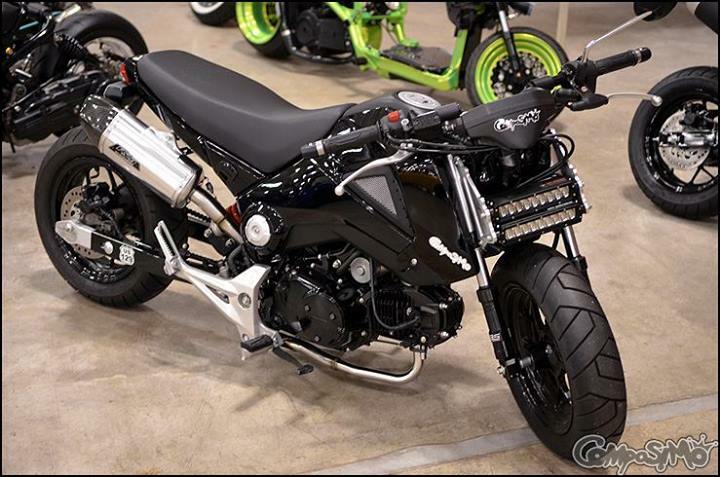 Any details on that swing arm extension?